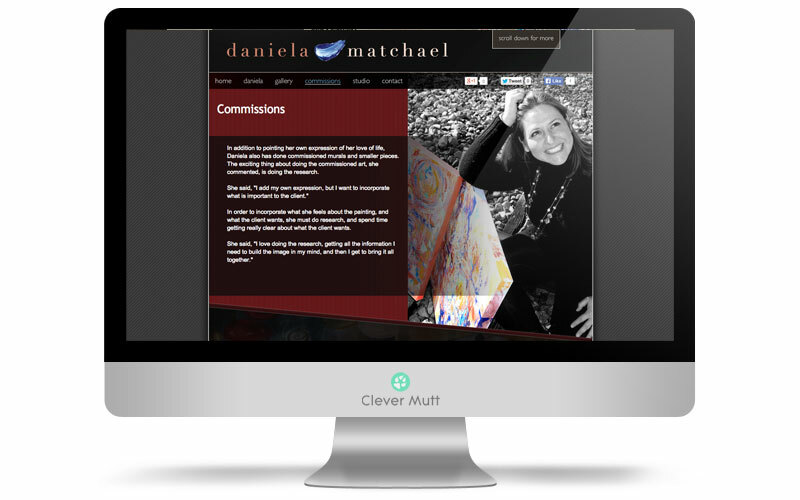 "Thanks for all the work you've done and for listening to me! The proofs are great! 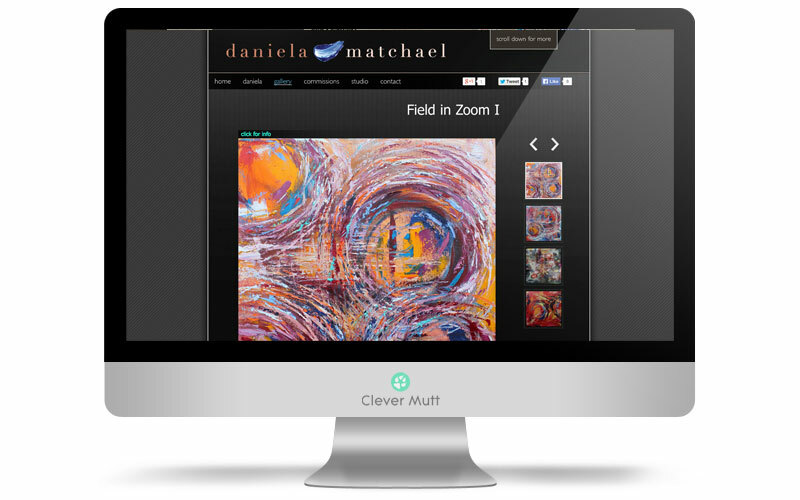 Can't wait to see it when we launch it!" 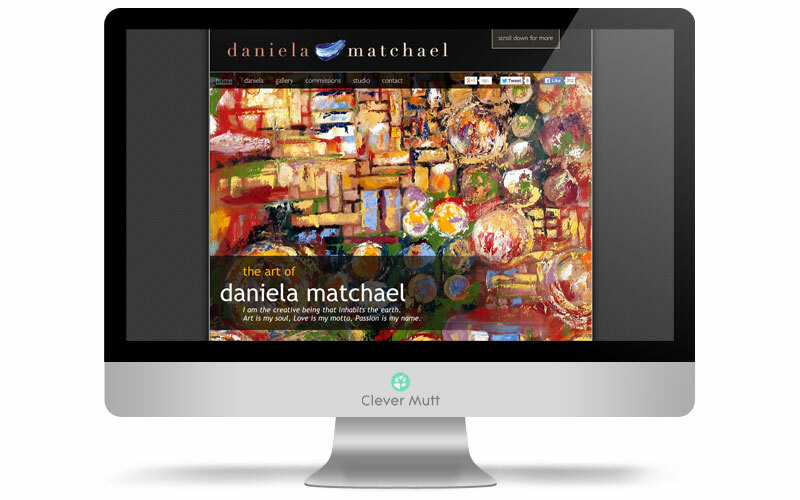 Daniela Matchael hired Clever Mutt™ to create a custom, parallax scrolling website designed to showcase her unique artwork, powered by the Clever Mutt™ Portal web content management system for site self-management.